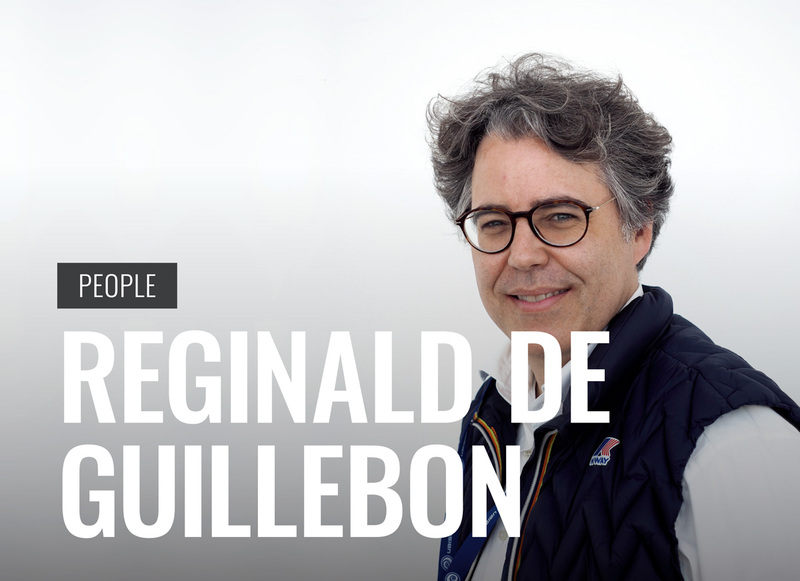 Reginald de Guillebon is the president of Les Armateurs, a prestigious animation studio based in Paris, France. We sat down with De Guillebon to hear about his involvement in animation, his insights towards the animation market and industry, and his vision for future projects. Why did you decide to come into the animation industry? First of all, I always liked entertainment such as movies and television when I was a child. While I was working for the investment bank, I luckily had a chance to work with one of the biggest media group companies who was doing a lot of animation. In one part of the group, there was Les Armateurs. This is how I got to know animation. In between all that, I decided to make a change in my career and stopped working for finance. I went to Ecole de l’image Les Gobelins to study animation. And I have a partner, Bernard Deyriès, who is well known for being a director of the animation series Inspector Gadget. How do you find and decide the film projects which you want to produce? What is the most important thing for you to consider? The most important thing is a good story. We also look at the design after the story, but the design can always be worked out afterwards. The story is the real message that has to be appealing. Then, we have to take what the market and distributors want into account, as financing movies is difficult. The distributors are the first clients in a way, who are going to buy the movie and make it possible to produce movies. If you produce something that they don’t want, like your own personal project, then you won’t be able to produce the movies. But, this does not mean that you should not try new innovative projects, and you have to try. The role of the producer is to convince people that it is a good project. The producer needs to keep a balance. Yes, you have to keep the balance of something being innovative as a producer. It also has to be a collective decision, because a lot of people are going to work on it. If I’m the only one person who likes the project, even though I am the owner of the studio, none of the people would work on it, and the project would go nowhere. How do you decide which director or the production team will produce the films? It is basically that we try to find the best director possible who has the sensibility for the project and is most enthusiastic about it, because the director needs a lot of enthusiasm to carry the movie. There are a lot of ups and downs during the production process, and you can sometimes get depressed. We try to find the most enthusiastic person possible. It’s really what matters most. You’re not only producing 2D animation, but what part of 2D animation is attractive to you? What makes 2D attractive is the poetry about it. I mean it’s the quality of the design and artistic feeling about it in all the possibilities. It seems that you can really go crazy with 2D animation, and you can do what you want to do artistically. With 3D, it could look good on paper during pre-production, but if you want to make it good in 3D in the same sense as 2D, you need to have a budget of Pixar or Disney, like 150 million dollars, which we can’t do in Europe. It makes sense for us to do very good 2D animation. What do you think about the potential of 2D animation? 2D animation is still quite huge in Asia. In the context of France, 2D is very difficult because 2D animated films have not been very successful at the box office for a long time, at least last five years. Also the competition with American 3D animated films are getting much more intense. 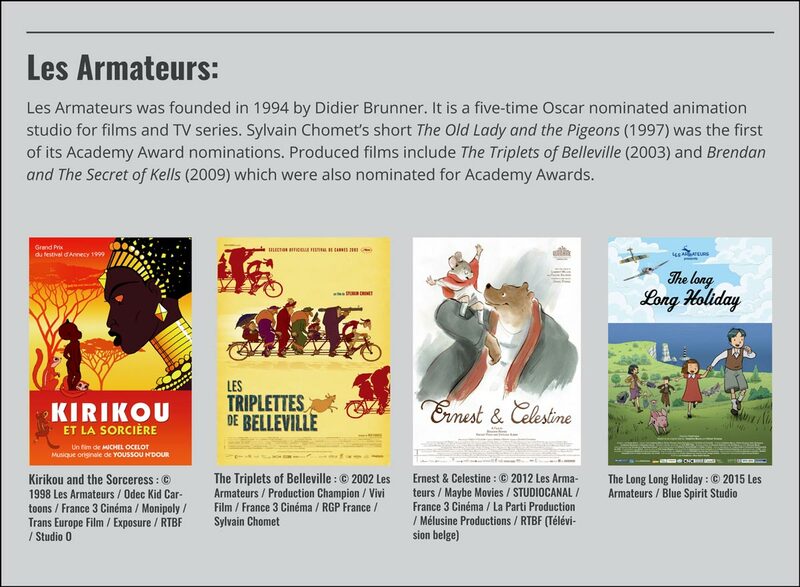 It used to be like we would have one or two animated films from France, and two or three 3D animated films from the United States. However, today, for example, you could have two Disney films, two Pixar films, two DreamWorks films, and two Blue Sky films. They could just take over the market with high quality programs with big brands and marketing. You know that kids are kids. They go to see what they see on the streets and say, “Oh, I want to go to see that!” And you want to please the child, so you bring them to see that. Unfortunately, that is the way it goes. What we have to do is to be smarter, find more appealing stories, maybe for more little kids than bigger ones. Kids who are 8 years old already want to see Star Wars and Spider-Man. That’s the fact. I see the market competition targeting older than 5 or 6 year-olds becoming tougher. 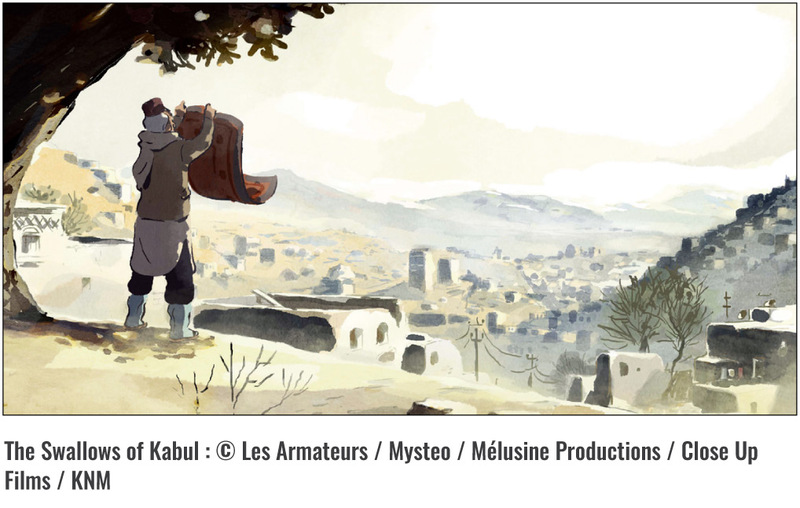 For example, you are working on The Swallows of Kabul, the animation aiming for adults. Yes, it is an adult animation, which is even more difficult than children’s animation. It’s very hard to finance, but we are finishing the financing right now. I think that it carries a great message in this difficult time. It’s difficult right now to be a woman in certain countries. So I think it’s really important to get the movie done. And we have a great distributor and a great sales agent. It’s going to take time, but I’m happy to do this. What do you think about animation targeting adults? We believe there is a market. It’s always the same thing. Nobody wants to be the first one to go. For example, comics and video games are for the kids in the 80s. But kids from the 80s are now my age, and we continue to play video games and buy comic books. So that population was also watching cartoons, and they like cartoons. They want different cartoons, like The Simpsons. It always seems to be great people who come up with a great story, and everybody is going to see it, then everybody is going to think “Oh, there is a market”. It’s difficult to be the first one, but we will see.